Affordable Equity makes it possible to profitably invest in affordable housing by building communities, increasing density, integrating market rate and affordable housing. We need your help to launch this innovative strategy. Please donate today. Like many American cities, Oakland, CA is experiencing an affordable housing crisis evident in sky high home prices, double digit rent increases, evictions, suspicious fires, and growing tent cities. The crisis continues despite the most urgent efforts of our government and non-profit housing sector. The fact is, their work is simply being outpaced by market forces presenting real estate investors and property owners with so much to gain from a displacement heavy form of development. Affordable Equity is creating a new model of real estate investment that is 1) profitable to investors, 2) provides truly affordable housing, and 3) offers a path out of poverty for low-income residents. Our strategy is to purchase and manage a portfolio of single family homes, up to four units. Non-profit affordable housing organizations are not set up to serve this market, and so the market has turned into a displacement machine for low-income renters. We will keep tenants in their homes, fill vacant units with section 8 voucher holders, and increase density with "in-law units" designed for affordability. Affordable Equity also seeks to change the owner/tenant relationship by reserving a portion of equity in the fund for the affordable housing residents to accrue over time. We will have resident shareholders instead of renters. Affordable Equity is currently focusing efforts in Oakland, with a long-term goal of creating a training and replication program for social entrepreneurs across the country who want to implement this strategy in their own communities. Your contribution goes directly toward making this innovative strategy a reality. One of the key barriers for models like this is the regulatory environment; it is more challenging for innovative ideas. Your dollars will help Affordable Equity pay for a securities lawyer who specializes in social enterprises to help us stay above board, file the right paperwork, and launch us toward the next stage of fundraising from social impact investors. We are raising $20,000, of which approximately 60% of the funds will be used for legal fees, 20% for an accounting consultant/software, and 20% for basic operations to keep the lights on until Affordable Equity can purchase our first properties. 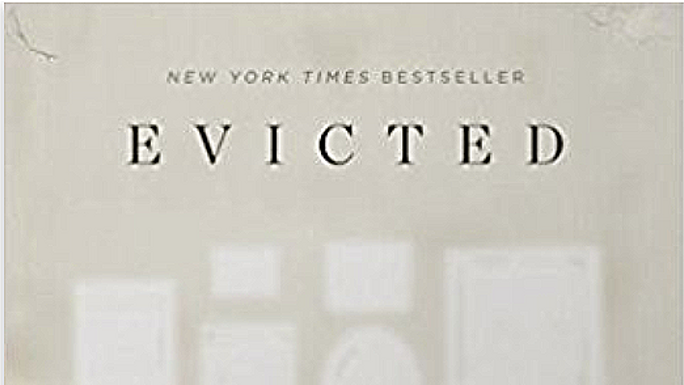 There is no perk like learning; donors that contribute $250 or more can elect to receive a hardback copy of Evicted: Poverty and Profit in the American City by Matthew Desmond. It is a powerful work that clearly lays out the need for new approaches to housing in order to break the cycles of poverty. Every contributor will receive a thank you note and progress updates periodically. Affordable Equity keeps low-income renters in their homes AND lets them build wealth with equity ownership. Help us make real estate investments build integrated communities, not just houses. We will send you a copy of Evicted: Poverty and Profit in the American City by Matthew Desmond.